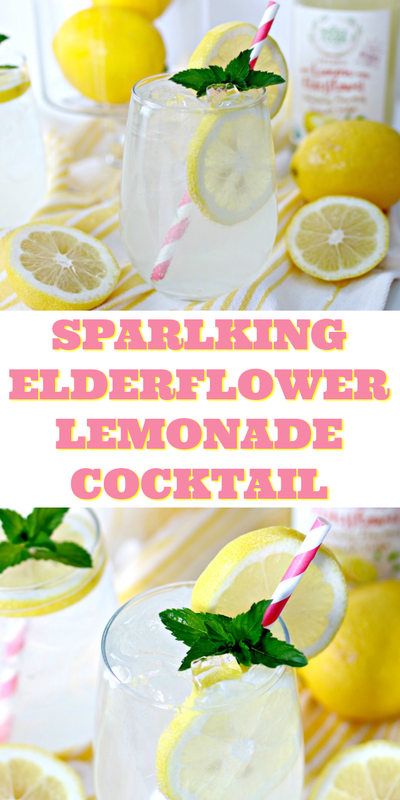 If you are looking for a delicate, sweet and refreshing drink to have this summer, then this Sparkling Elderflower Lemonade Cocktail is the perfect drink for you! Elderflower has become increasingly popular since Prince Harry and Megan Markle were married this summer. The royal wedding cake was an elderflower cake, and has been described as absolutely decadent! What does elderflower taste like, you may be asking? Some say it has a mild floral honey/fruity taste. I almost think it has a bit of a sweet pear taste…it’s absolutely delicious! When you mix elderflower liqueur with lemonade, it’s absolutely delightful! 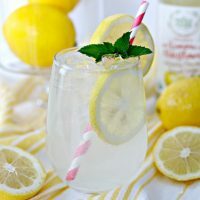 I want to share two different ways to make a Sparkling Elderflower Lemonade Cocktail with you because both ways are truly delicious! One method requires elderflower liqueur, and one method uses store bought Lemon Elderflower Italian Soda that can be found in some stores. 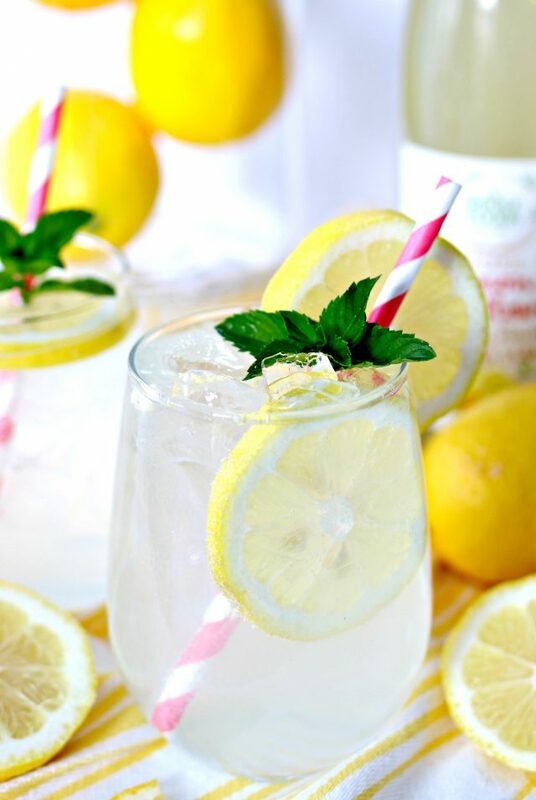 To be honest, I prefer the shortcut of using the store bought Lemon Elderflower Italian Soda that I buy at Whole Foods, mostly because it’s super quick and easy, but both are equally delish! 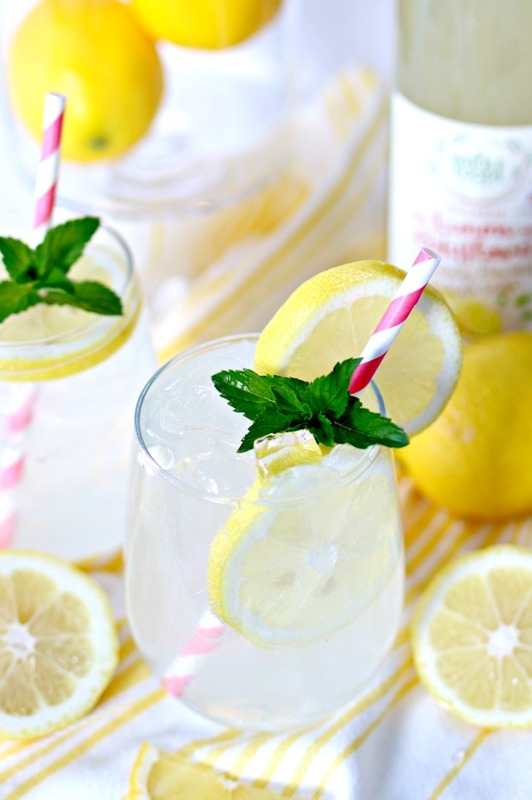 What’s In a Sparkling Elderflower Lemonade Cocktail? Add all of the ingredients and stir together for either method. Garnish with a lemon wheel and a sprig of mint. I hope you enjoy this delightful cocktail as much as we do! Check out these delicious cocktails too, and find all of our concoctions HERE in our Cocktail Directory! 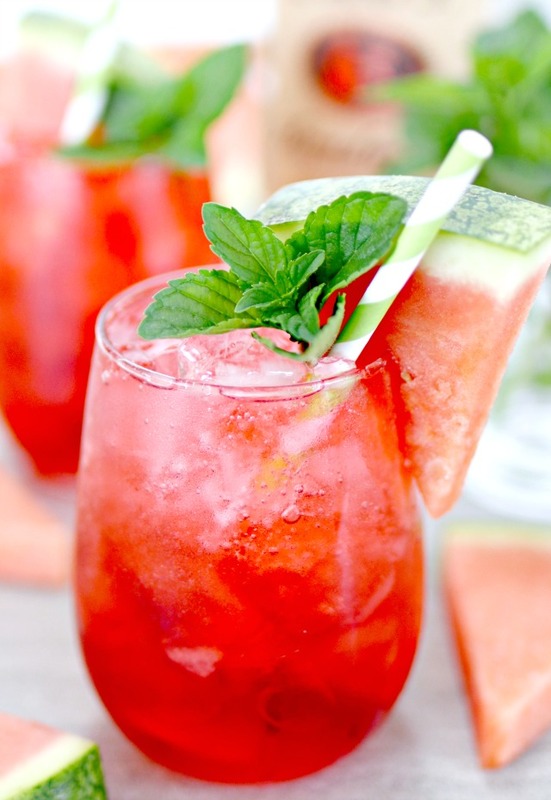 This Watermelon Vodka Fizz is the epitome of summer…it’s sweet and refreshing, perfect for any occasion! 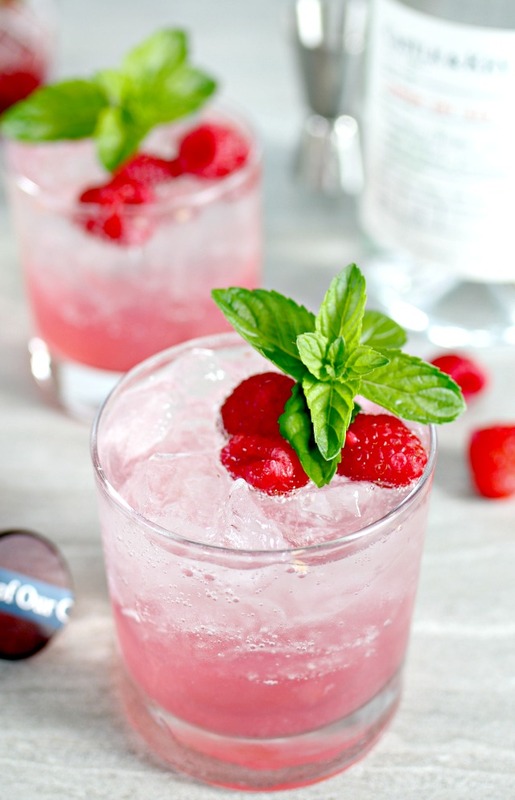 If you are more of a gin drinker, you have to try this Raspberry Gin Fizz…it’s light and refreshing, and oh so fresh! Love bourbon? 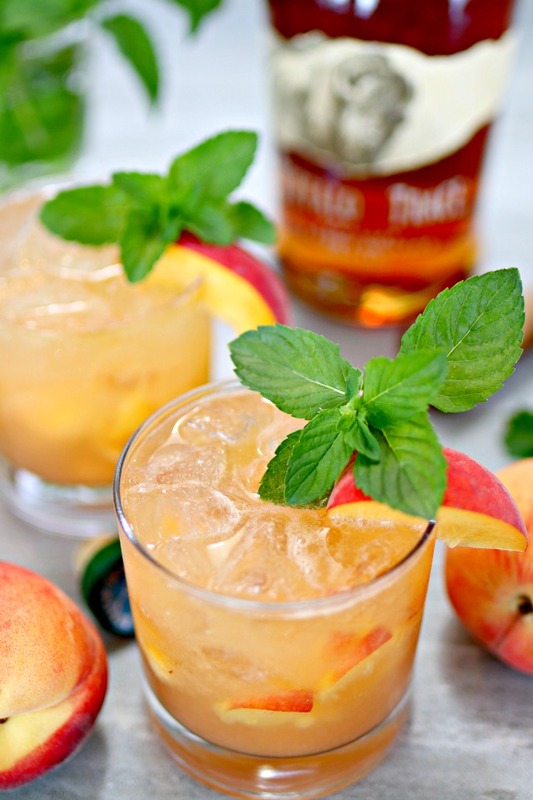 Try this Bourbon Peach Smash! It’s the perfect marriage of Kentucky Bourbon and sweet Georgia Peaches…a true southern cocktail!